It might look like a regular sock, but this flat, low-profile compression sleeve contours your ankle for light stability and increases blood flow for improved joint recovery and injury prevention. Designed to increase blood flow and maximize muscle recovery, the 3D Flat Calf sleeve features grippy, multidirectional stretch, allowing full range of motion and calf stability during workouts. Designed for maximum comfort and stretch, the 3D Flat compression sleeve contours knee joint for nonslip stability, increased blood flow and improved post workout recovery. Treat plantar fasciitis and plantar pain with this compressive sleeve from Pro-Tec Athletics, offering support through the arch and heel. Treat yourself to heatable, deep-tissue massage with the Pro-Tec Athletica AcuRoll massager. It provides natural muscle and joint relief and helps restore the natural curvature of your lower back. The Pro-Tec Athletics Contoured roller massager uses high-density EVA contoured foam to self-massage deep tissue, aiding in stretching and muscle recovery after strenuous activity. Soothe sore muscles and recover from tough workouts with Dr. Cohen's AcuBall heatable massage ball. 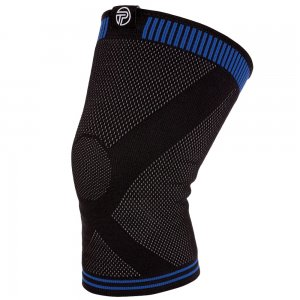 The Pro-Tec Athletics Gel Force knee sleeve provides moderate support for patellofemoral pain syndrome, patellar tracking, minor ligament/meniscus tears and overall knee-joint stability. This Pro-Tec Athletics Iliotibial Band wrap provides targeted compression to stabilize the iliotibial tract. The Orb Extreme Mini from Pro-Tec Athletics is a 3 in. high-density massage ball that provides deep tissue release to your IT bands, hamstrings, quadriceps, calves and more. 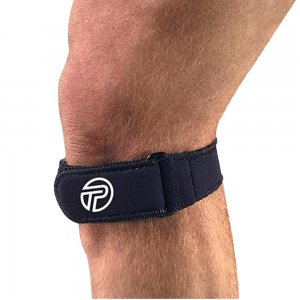 Help alleviate symptoms of tendinitis, chondromalacia, iliotibial band syndrome, Osgood-Schlatter's disease, and other knee ailments with this strap. The firm, 3 in.-diameter Pro-Tec Athletics Spiky Ball Massage Ball provides deep-tissue relief. It's an excellent tool for plantar fasciitis. Protect and cushion your tootsies and toenails with Toe Caps by Pro-Tec Athletics(R)-perfect for running, hiking and other sports.